Celebrating My Results and the Process! I decided to re-cap the program I followed that was so successful, getting my Hep C viral load down to ZERO in 8 weeks. This is a long blog, I know because it recaps my entire progress including what I’m doing today to wean off the medications. It lists the products I used that supported my process, the stages I used them in and the amounts. PEG-IFN is injected, once weekly. RBV pills or capsules are taken twice daily, dose is according to your weight. INCIVEK comes in boxes of seven daily-dose blister packs. The daily dose is six pills—two 375 mg capsules every 7 to 9 hours—with a snack or meal that contains at least 20 grams of fat (3 tablespoons of peanut butter, 2 ounces of cheese, or a bagel and cream cheese). It is important not to miss doses of Incivek. My personal holistic therapy was a little erratic and I believe it is because my body was trying to confuse the virus, which is contrary to the belief that the best way to help the immune system destroy the HCV is to take the medications at the right time and in the right amount. Please understand that I am a Holistic Health Practitioner, an Applied Kinesiologist and Dowser. I work with herbs, vibrational medicines and energy tools and techniques. I have the capabilities to test what I am doing. For those of you reading this blog please understand that the energy tools I used played a huge role in my healing time. Through this bog/site and linkages to other sites, I, Rev. Carol Lefevre will provide general information for educational purposes only. The information provided is not a substitute for medical or professional care, or for the advice of your physician or other healthcare provider. Rev. Carol Lefevre is not liable or responsible for any course of action or inaction you choose to follow, or for any service or product you choose to purchase or use based on information you obtain through this site. Reliance on any information provided on this site or any linked sites is at your own risk. Statistics reveal that about 300 million people are infected with the hepatitis C virus worldwide. However, the number of new hepatitis C cases diagnosed each year in the US has been steadily increasing. Based on current statistics for hepatitis C, it’s estimated that 8,000 to 10,000 people die each year from chronic liver disease caused by this condition. About 15 percent of cases end up being acute hepatitis C, in which the immune system is able to completely destroy the virus. For about 85 percent of infected people, however, the immune system is not able to completely get rid of the hepatitis C virus, and they end up having a long-term liver infection. This is called chronic hepatitis C.
Genotype 1 is the most common form of HCV in the United States. It affects over 70 to 90 percent of the people in this country who have hepatitis C. It is estimated that up to 50 percent of the people with genotype 1 will have a sustained response (successful treatment). Within several months of beginning combination therapy (peginterferon injections , incivek, ribavirin pills), the healthcare provider will be able to tell whether or not the treatment is working. This is done using the same viral RNA blood test to determine the hepatitis C viral load. If the treatment is working, the amount of virus RNA in your blood (viral load) will have gone down. But if it’s not working, the viral load will stay the same or even increase. I began several months before I started the prescription medications by cleansing my system first. Depending on your lifestyle, food habits and personal health habits, you may need some or all of the cleanses I did. I cleanse regularly and still decided to go for it, thinking it would give me an advantage while on the medication. You can find this information on my blog Cleansing and Detoxing Before Hep C.
One of the most difficult things for people on hepatitis C therapy to deal with is the side effects caused by the interferon injections and pills. Side effects vary a lot from person to person. Some people will hardly notice that they are taking medications. Others will feel like they have a cold for much of the time on therapy, and sometimes they will feel even worse. Mental health, Anxiety, irritability, and depression. Feeling down–depression or sadness, It’s not unusual to feel “down” while you are on interferon. This is purely a side effect of the medication. Stopping the interferon will make these feelings go away within 1-2 weeks. So what symptoms did I have? All of them I’m sorry to say! My white blood count dropped on the low side, however, my liver enzymes took a sharp turn down…this is a good thing in my case. One of my biggest challenges way my sight. Both near and farsightedness have been affected by the drugs. I have just started taking the A.Vogel Sharp Vision and found that it really worked. I also added 1 tsp. of spirulina powder to my shakes, apparently it has high levels of Vitamin A in it, I have been doing this for years and to be honest it hasn’t really helped my eyesight. This is a huge issue for me, The mucus membranes in my mouth were very sensitive. My throat was sore often but for the most part I usually only get symptomatic from 4:00-8:00pm but it is very uncomfortable. I started using a straw if I drink lemon water and that helps a little and I cut back on the amount of spicy foods I eat. The item that has worked the best to date and that is natural and sugar free is a tea called Throat Coat…it is fabulous. Yuck, this is horrible, I mean really horrible…YUK! I used an awesome product called A.Vogel Dentaforce Herbal Mouth Spray. This little bottle packs a huge punch and keeps that nasty taste in my mouth away for hours. Surprisingly it is gentle on my mouth, so no pain for my tender mucous membranes. I got an energy dip every day around the same time. I get up at 5:15 every morning so it’s no wonder that my energy is low at 4:00pm, 10 hours is already a full work day for most people. Unfortunately with the fatigue came the nausea, fever and headache and I’m totally off my game. That meant no evening yoga or socializing with friends, some days it was impossible to even make dinner! I have been taking supplements and trying different times of day to see what works and what doesn’t. So far I have come up with this formula that reduces the number of side effects and improves my dip times. My life line at this point has been Biostrath and Vital Energy. I LOVE Biostrath…it is an awesome product and I have witnessed it helping so many of my clients over the past 20 years. When I took Biostrath with Vital Energy 8 hours after I got up, all the symptoms seem to be reduced by at least 60%. Later in my process (around week 5) I started taking them 40-50 drops of Biostrath twice daily. I must say that I also believe it is because of the Biostrath and other vitamins I am taking that I have not experienced any hair loss. I had weird skin breakouts, hives and rashes. They would heal so I tried A.Vogel 7 Herbs Cream it Relieves cracked, chapped and flaky skin, diaper rash and crusts in the nostrils. This stuff is absolutely amazing. I told the Specialist about it, as a possible choice instead of creams with steroids. Shortness of breath can be scary, so if there are times when you find it difficult to catch your breath, I had to stop going up the stairs from the beach 4 times when we went, yikes! I am back to doing my deep breathing exercises and my kundalini breathing. I have added 20,000 IU of Vitamin A every second day, 800 IU of Vit E every day, 2000 mg Vit D and started at 2000 mg of Vit C and increased my Vit C to 4000 mg daily. I also gave myself B12 and B6 shots weekly. My blood work was monitored every week while you are on treatment and really dropped. This increased my fatigue levels. Ribavirin is harmful (toxic) to red blood cells and can damage them. Interferon leads to fewer red blood cells being produced. This results in low red blood cells, or “anemia.” Unfortunately I had all these symptoms. Anemia can make you feel tired: I have increased my two life lines Biostrath and Vital Energy and have added Folic Acid 1mg daily. I took Inno-Vite liquid iron, 2 tablespoons daily. Insomnia I added: A.Vogel Deep Sleep Valerian and Hop Tincture and Tryptophan. A Pins and Needles, Tingling Sensation in Hands and/or Feet. I had and continue to get these weird sensations of being bitten by no see ems…you know that feeling of a mosquito bite. I have also developed hives, which are very itchy…I made a combination of Baking soda (battles itches), apple cider vinegar and tea tree oil. Soak for 30 minutes and air dry. Localized itches can be treated with a baking soda paste. Mix 3 parts baking soda and 1 part water. Apply to the itch, but do not use if the skin is broken. Aloe Vera is a must to reduce itching. Snap off a leaf, slice it down the middle, and rub the gel only on the itch. I also began taking it internally, 2 tablespoons in a glass of water daily. Increase in the count of platelet may a little tricky than it first looked because no food is specified to increase the platelets production. It is believed that taking healthy foods and mainly organic and fresh foods will stimulate the mechanism internally and thus the platelet counts will also be increased. Flax seed is known for strengthening the immune system and also for reducing the inflammation. With this, the circulation is also improved in the body. I used and still use flax seed oil in my shakes and on my salads. When taking these medications you have to take them with 20 grams of fat. As a low fat eater it was a challenge, and when I was sick I couldn’t be bothered to cook much. I ate an avocado a day with one dosage and created some other good healthy fat options for my other dosage. Please see: New Foods for Surviving Hep C for some great ideas. Week one I am off all supplements to give myself and my body a little break. I am decreasing my pharmaceutical medications and am still having withdrawal symptoms. I am drinking 3 liters of water daily, green tea and I have coconut water every other day. Week two I will be only on interferon and a reduced dosage, 1/2 the protocol amount. I will begin my antioxidants again: 10,000 IU of Vitamin A daily, 400 IU of Vit E daily, 2000 mg Vit D daily, 2000 mg of Vit C daily and 400 mcg of Selenium daily. I have started rebuilding my intestinal flora with Bio-K and Molkosan. I am still feeling the itches and rash so I am using the A.Vogel 7 Herbs Cream and soda bathes. I have begun to reduce my fat intake slowly and am feeling more and more like eating fresh fruits and veggies, thank God. I have not tested for herbs to detox liver as of yet, my suspicion is that I will need to purchase more Boldocynara and get back on that next month. There are many proponents of rebounding who recommend that patients undertake about two minutes of gentle bouncing. I could only manage 10 minutes a day. I go to an awesome place called Healing Movements. Next week I will be posting some of the spiritual tools and exercises I did to help move the virus from my body quickly and tell you the horror story of all the mistakes that were made while under supervised treatment…I am so glad to have the tools I needed to test things for myself! Be well my friends. I haven’t been around for some months and thought it was time to get back at it. I have been dealing with a personal challenge which has kept me preoccupied and has knocked me a little off my game, and “I’M BACK”. I was recently diagnosed with Hep C…shocked? I certainly was. I have spent the past several months being scared out of my wits by the allopathic community, given the run around and feeling extremely frustrated. So, for those of you who don’t know me, I am a advocate of due diligence. I have been researching like a mad woman, clearing thoughts and beliefs regarding Hep C and assuming important natural health care protocols to set my body and liver up for success while I undergo treatment. My intention for this blog is to bring a higher level of understanding and awareness to the public and individuals and their families who are experiencing the same challenges. I believe that awareness is the first key to the having the support you will need. I intend to blog weekly throughout my process with a list of supplements, foods, herbal products, tips and other techniques I am using along with a detailed review of how and why each works. You can make informed decisions about which remedies are the best for you, what to avoid and bits and pieces that will make living with this treatment more comfortable. As the first article in the Hep C blog series, I would like to introduce myself, let you know how I contracted the virus and share the symptoms I may be facing due to the pharmaceutical medications I must take to clear the virus from my system. In my next posting I will give you an update on how I’m feeling and some crucial information on how to prepare your body using natural herbal remedies and supplementation before beginning the allopathic protocol to eliminate the virus. Oh and my experience with “the specialist”, “the nurse” and truth versus fiction. Having traveled extensively across the globe I recognize the impact each and every one of us can have when we are aligned for a mutual purpose. I believe that when we excel individually at who we truly are, we can leverage our combined talent and economic resources to bring about global change. l believe that we are all more powerful than we can even imagine, that we all have the brilliance, and power within to transform our lives. After a traumatic hiking accident in 1990, a metamorphosis occurred and I was guided by God to begin healing work and accelerate my personal spiritual growth. Since this time it has become my passion and I have dedicated my life to assisting others on their path to health, enlightenment and wholeness. My passion for helping others, learning, and grow was met when I was given the opportunity to work for a remarkable company called Bioforce Canada, they took me under their wing and I blossomed. I was very fortunate to begin my holistic career with a company who believes foresight is the source of health and happiness and who diligently follows the principles of their founder Dr. Vogel. I gave up my position at Bioforce Canada because I had a rare opportunity to personally work and train with Rev. Hanna Kroegerfor 5 months at her home in Boulder, CO in 1997. 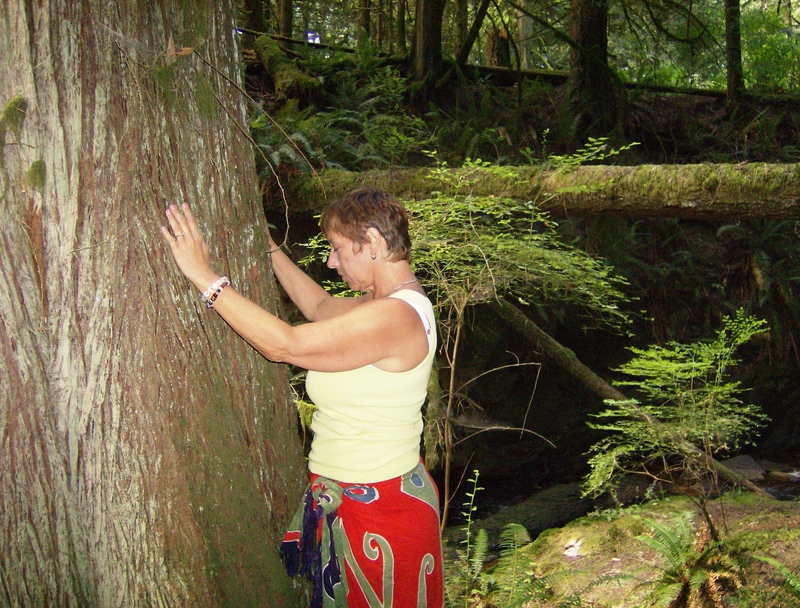 This powerful experience and Hanna’s support led me to begin to teaching Vibrational Healing in the Vancouver lower mainland 16 years ago. In 2005 after returning from 18 months in Central America, I decided to return to go back to school and get my Employment Counsellor Diploma at Cornerstone College. I became a case manager directly out of school working with high risk youth, I worked with entrepreneurs as a Facilitator and Business Advisor assisting individuals to write business plans and help make their dreams a reality and I am currently in discussions with BC Community Living to put a program together for peoples with disabilities. In 2011 I became a licensed, ordained, non-denominational Minister, following New Thought Metaphysics. 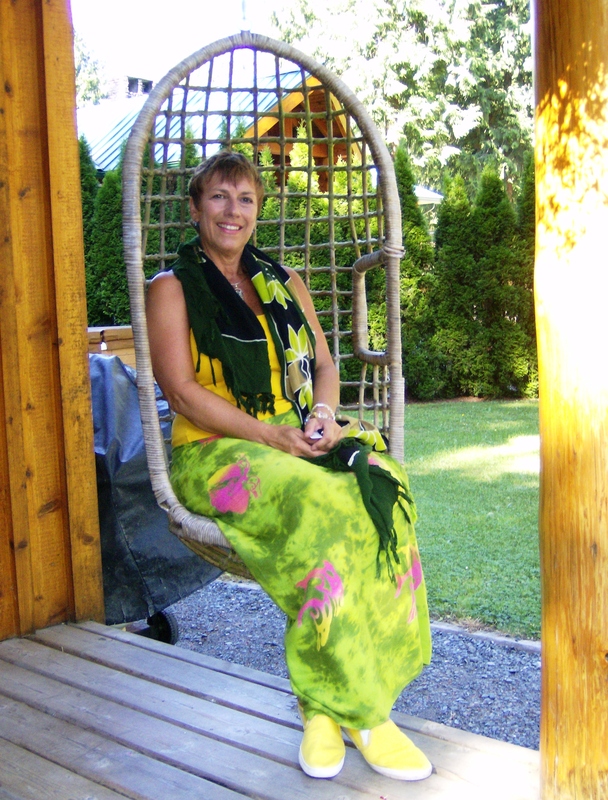 I am a member of the Canadian International Metaphysical Ministry and registered with Vital Statistics to perform weddings in British Columbia. My work and beliefs and not based on religion but on spiritual awareness and my strong connection to Source. I have spent over 22 years exploring, studying, certifying and facilitating several alternative-healing modalities, spiritual techniques and philosophies. Through my training and strong connection to spirit I have come to understand the unique interconnection that we all have to everything. I hold a B. Msc. in Metaphysical Science, Certification as an Employment Counselor, Certification as a specialized Applied Kinesiologist and Certification as a Reiki Master & Teacher. OK, enough about me let’s talk about Hep C.
Hepatitis C is one of the major causes of liver failure and transplant in the developed world. The hepatitis C virus (HCV), which causes Hepatitis C, is transmitted through blood contact with someone infected with hepatitis C. In Canada, recreational injection drug use (IDU) continues to be the predominant risk factor for HCV acquisition, and is associated with 70-80% of newly acquired HCV cases in Canada. In larger Canadian cities, the second largest risk factor is travel or residence to a HCV-endemic region because of the higher rate of health care-acquired HCV infections in these regions. Sexual and perinatal (mother-to-child) transmission occurs uncommonly. Elevated risk is associated with tattooing or body piercing with contaminated equipment, the sharing of personal hygiene items (e.g. razors, toothbrushes) with someone infected with HCV, or occupational blood exposure. While there have been cases of HCV transmission via contaminated blood transfusions in the past, the enhanced screening procedures of Canada’s blood supply since 1990 has virtually eliminated this risk. Currently, there is no vaccine for HCV, although vaccine research is in progress. So How Did I Contract Hep C? In 2003-2004 I sponsored and volunteered a small team of healers to do free healing for the poor. This huge undertaking led us from Dallas to Panama via vehicles…yep we drove all the way. I was out of the country for approximately 18 months. The venture was a culmination of amazing people, beautiful experiences, some weird and wacky stuff, some major health challenges and a whole lot of uh ha moments that will live in my heart forever. That being said, I spent the course of several weeks visiting at least 1/2 dozen hospitals because of Neurotoxic shellfish poisoning is caused by eating shellfish contaminated by brevetoxins. So, the next time you’re on holidays, laying on a hot beach and you see those venders walk by with that ice cold fresh shrimp, please ensure that you have more than enough healthy bacteria in your gut before taking a bite! Research suggests that the relationship between gut flora and humans is a mutuality beneficial relationship. Though people can survive without gut flora, the microorganisms perform a host of useful functions, such as fermenting unused energy substrates, training the immune system, preventing growth of harmful, pathogenic bacteria, regulating the development of the gut, producing vitamins for the host and producing hormones to direct the host to store fats. I can’t believe I forgot bring my probiotics from Dallas! Although I may have been exposed to the Hep C virus at one of the hospitals in Mexico my intuition tells me that it happened when I lost a filling and needed it repaired in Costa Rica According to an article I found : Vast Numbers Of Hep-C Infections May Come From Routine Dentistry, By Kate Foster, The Scotsman – Health Correspondent ” Thousands of people infected with the life-threatening hepatitis C virus may have caught it during routine dental treatment”. This is happening in countries all over the world, including North American countries!!! As someone who is going through the experience of eradicating this dangerous virus, I must say I am shocked and appalled at the lack of accountability and compassion of these perpetrators. I mean really…has asking for sterilized equipment to be used on each new patient become too expensive or is everyone just complacent? As a last note before I go on to list the possible side effects of treatment, I would like to say that my personal experience with each the Doctor, Specialist and Nurse has made if obvious that our health care system is numbed out, ill advised and misaligned with what people really need. This stage of meetings with ill advised professionals has left me flabbergasted. As a knowledgeable individual who has studied and dedicated my life service to health and wholeness, it is my duty to offer awareness and compassion to those in suffering and being misguided and bullied by or traditional medical practices. Side Effects of Medication: This excellent info has been provided by: Provided by US Department of Veteran Affairs. One of the most difficult things for people on hepatitis C therapy to deal with is the side effects caused by the interferon injections and ribavirin pills. Side effects vary a lot from person to person. Some people will hardly notice that they are taking medications. Others will feel like they have a cold for much of the time on therapy, and sometimes they will feel even worse. You need to be able to recognize and identify the side effects that you are having. You need to learn how to manage the side effects, including knowing when to ask your doctor for help. You need to know which side effects are serious, so that you can report them immediately to your health care provider. Being educated about your treatment is important so that you can finish with good results and so that you can feel better sooner. To learn more about how to deal with treatment, you can click on each of the side effects on the right. People getting treated for hepatitis C often find it difficult to sleep. The lack of sleep can lead to anxiety, irritability, and depression. What follows are tips for coping with each of these side effects. Many people on interferon therapy have trouble sleeping. This happens because interferon injections stimulate (excite) certain areas of your body. Lack of sleep can make all side effects–including fatigue, short temper, depressed mood, and headaches–a lot worse. So just getting better sleep can improve the other side effects. Most people taking interferon are more likely to get angry about things than they normally are. This can happen even to people who never seem to get angry about anything. You may find yourself yelling at people in traffic when that never happened to you before. By being aware of a short temper, you can expect it and control it better. If your family members and close friends know you are on medications that can cause you to be mad about things, they will be more understanding. It’s not unusual to feel “down” while you are on interferon. This is purely a side effect of the medication. Stopping the interferon will make these feelings go away within 1-2 weeks. If you find that you’re more than a little down–maybe you feel worthless or hopeless or have lost interest in your favorite activities–you could be depressed. Depression is a common side effect of interferon. It can be treated by either by changing how much interferon you take or by taking antidepressant medications. Be sure to always discuss medication changes with your VA health care provider. Hepatitis C drugs can cause fatigue, headaches, fever, and muscle aches. What follows are tips for dealing with each of these side effects. Feeling tired (fatigued) is the number one side effect of interferon and ribavirin. You may feel like you have a cold. In rare cases, the thyroid gland (a gland in the neck that is involved in a lot of body functions) can fail to function right, leading to low thyroid levels. This condition is called “hypothyroidism,” and it can make you feel tired, too. You can ask your VA health care provider more about this condition. Headaches can be a direct result of the interferon. They can also be due to anemia (low red blood cells) caused by ribavirin. Fever is usually caused by the interferon. The fever tends to be worse with the first few shots, and usually occurs within the first day or two after the shots. This is because high fever can be associated with infections that may need a specific treatment. Your health care providers will know whether this is the case. It’s important to eat a good, healthy diet while you are on treatment and afterward, even if you want to lose a few pounds. Your body needs good nutrition and healthy foods to fight the hepatitis C infection and repair damage that it has caused over time. This can be difficult because treatment can cause problems with your mouth and stomach. What follows are tips for coping with these side effects. Interferon treatment can cause you to lose your appetite. This can cause poor nutrition (not eating right), which can contribute to weakness and your not feeling well. Interferon can cause a bitter or metallic taste in your mouth. Ribavirin can cause mouth sores and dehydration, which can make your mouth feel dry and have a bad taste. Ribavirin kills red blood cells. As a result, you don’t have as much blood in your blood vessels, and you get dehydrated. This can cause dry mouth or thick saliva. Ribavirin can cause you to have an allergic reaction that might show up as a rash on your skin. It can also show up as an irritation in your mouth and throat. If you normally get mouth ulcers, they may get worse while you are on treatment. Nausea is a common side effect of hepatitis C therapy. It can be caused by both interferon and ribavirin. Vomiting repeatedly can lead to dehydration and chemical imbalances in your body. Tell your doctor if you vomit frequently, or if nausea and vomiting stop you from taking your ribavirin. While you are on therapy, you may experience diarrhea at times. For some people, diarrhea can be the main side effect of treatment. It’s important to replace lost fluids, which can lead to dehydration and weakness. Hepatitis C treatment can cause temporary hair loss, skin rashes, and injection site reactions. Here are ways to deal with these side effects. About 1 of 3 patients on interferon loses hair while they are on therapy. The hair loss usually happens little by little, not in big patches (like it does during cancer chemotherapy). After you stop interferon, your hair will grow back slowly to its normal thickness. Skin rashes, particularly on the arms and trunk (torso), often result from the ribavirin. These rashes tend to come and go during the course of the treatment. Red, “blotchy” areas can appear around the site of your injection. Sometimes they will itch. They tend to get better over the course of several days. Hepatitis C therapy sometimes can result in chest pain, shortness of breath, vision changes, and thyroid problems. Some of these side effects need to be promptly reported to your doctor. What follows are tips on dealing with each. Chest pain is a fairly common side effect of therapy. Hepatitis C therapy affects your whole body–from muscles to joints, lung airways, and digestive system. Your esophagus (food-swallowing tube), lung airways, chest muscles, ribs, and heart can produce different symptoms in the chest area. These can feel like chest pain. But if you develop chest pain while on therapy, particularly if it is very noticeable, different from one you have had before, or mostly occurs when you are exerting yourself (eg, climbing a flight of stairs), you should seek medical attention. This is because chest pain can come from the heart, which can require specific treatment. Changes in your vision that cause you to not be able to see clearly are uncommon. If they do occur, however, they should be promptly reported to your doctor. Eye specialists will be able to look into your eyes and see if there are any problems. Your thyroid is a gland in the front of your neck that is about the size of an apricot. It helps control many of the functions of your body. It affects your appetite, weight, energy level, digestion, and concentration, among other important functions. Interferon can lead the thyroid gland to be overactive or underactive. This can have a big effect on how you feel. Most people do not have any problems with their thyroid from interferon, but you should tell your VA provider if you notice any big changes in how you feel. Rarely, changes in thyroid function can appear even after interferon and ribavirin treatment has been completed. Your VA health care providers will look at your blood test results every 1-2 months while you are on treatment with interferon and ribavirin. They want to be sure that the medicines are not lowering your blood counts to unsafe levels. Blood tests also give your providers an idea of how well your treatments are working. Following are some things that can be found by blood tests. Ribavirin is harmful (toxic) to red blood cells and can damage them. Interferon leads to fewer red blood cells being produced. This results in low red blood cells, or “anemia.” Anemia can make you feel tired. Interferon slows your body’s production of white blood cells. This leads to lower amounts of an important group of white blood cells called “neutrophils” (pronounced “noo-troh-fills”), which fight many different infections. Patients with low neutrophil counts are at risk for infections, such as pneumonia or skin infections. Platelets (pronounced “playt-letts”) are clusters of proteins that act like bricks to form blood clots. They are produced by cells in the bone marrow. Platelet counts often drop if you are on interferon and ribavirin therapy. This can put you at a higher risk for bleeding. Disclaimer: The information in this email is not intended as a substitute for medical advice, treatment, or diagnosis of any kind or type. You should consult a doctor or other competent licensed clinician for specific advise applicable to you. In the wake of the Japanese nuclear disaster and the fear of radioactive particles being carried to many other areas, I thought it important to post this information. Although no dangerous radiation levels have been detected in other countries, many of my clients are asking what they can do to be proactive and prepared in the event of possible exposure. So how do we protect ourselves from the toxicity of heavy metals and radiation? Well, for anyone who is exposed to radiation from the nuclear reactors in Japan through contact with contaminated products or travelers, or by ingesting contaminated food, even if the exposure is relatively low in level. There are three simple principles involved in detoxification. The most important is chelation, or the binding and removal of metals and other toxins from the body. Second, the body has its own methods of detoxification which can be encouraged. And third, antioxidants will scour and remove free radicals that have been created by oxidative damage. Everyone can easily take supplements to produce these results and protect the body from heavy metal and radiation toxicity. Chelation can be accomplished with one or more of several supplements. Chlorella is a green algae and spirulina is a blue-green algae which contain chlorophyll and other nutrients that bind toxic compounds in the gut. They are both used as chelating agents of heavy metals and other toxins. They are readily available in most health food stores. Seaweed has a similar ability to inhibit absorption of toxins in the digestive tract. Laminaria is a brown seaweed that contains sodium alginate, which has been shown to chelate heavy metals and treat radiation sickness. Modified citrus pectin has been shown in clinical studies to remove heavy metals including lead, mercury, arsenic and other toxins. Pectins are known as polyuronides, molecules that form chains in an “eggbox” structure that attract and trap radioactive metals. Typical dosage is 5 gm of the powder per day. Zeolite is a naturally occurring mineral that has a crystalline structure that traps metals. It has been shown to remove depleted uranium from the body. 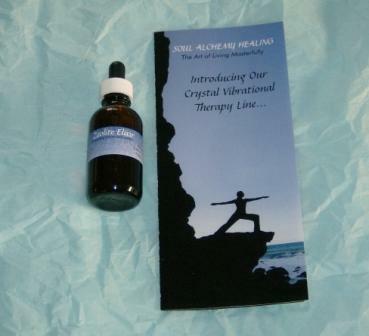 Soul Alchemy Healing’s zeolite is exceptional; http://www.soulalchemyhealing.com/products.html Typical dosage is 10 drops three times a day. The oral administration of sodium bicarbonate diminishes the severity of the changes produced by uranium in the kidneys. The kidneys are usually the first organs to show chemical damage upon uranium exposure. Old military manuals suggest doses or infusions of sodium bicarbonate to help alkalinize the urine if this happens. This makes the uranyl ion less kidney-toxic and promotes excretion of the nontoxic uranium-carbonate complex. The oral administration of sodium bicarbonate diminishes the severity of the changes produced by uranium in the kidneys. Sodium bicarbonate can safely remove paint, grease, oil and smoke residue, decreasing workers’ exposure to harsh chemicals and eliminating much of the hazardous waste associated with other cleaners. This is the reason it’s used by oncology centers to control chemo agent spills and it’s actually used intravenously to protect patients from the hazardous toxicity of chemotherapy. “Uranium is one of the only metals that get significant bonding from carbonate. Just flushing a lot of bicarbonate through the system, along with whatever kidney support you are going to use, will be very helpful! Glutathothione is the body’s primary antioxidant. It can be produced in every cell of the body, but the liver is the primary source. Glutathione is capable of breaking down carcinogens and heavy metals. Supplements including N-acetyl cysteine (NAC) and alpha lipoic acid (or R-lipoic acid) will support glutathione production. Milk thistle, or its active extract sylimarin, supports liver cell synthesis and promotes glutathione production. Supporting the small intestine’s ability to maintain an effective immune system is an important component of detoxification. L-glutamine is an amino acid that protects the small intestine lining from radiation damage. Probiotics (lactobacilli and bifidobacteria), and prebiotics (arabinogalactan, beta glucans, and inulin) will maintain a healthy intestinal lining. In addition to supporting the body’s own production of antioxidants, various supplements can provide additional support. These supplements include vitamin C, coenzyme Q 10, grape seed extract, astaxanthin (from krill or other sources), beta-carotene, and others. Of course many fruits and vegetables provide significant amounts of antioxidants, especially those with red, orange, or purple color. Safeguard your body and protect it from radiation damage by taking at least one chelating agent such as chlorella, modified citrus pectin, or zeolite. Support the body’s own detoxifying mechanisms by taking reduced glutathione or milk thistle. Support the small intestine’s ability to remove metals with L-glutamine, probiotics and prebiotics. Get antioxidants from fruits, vegetables, and supplements of vitamin C, CoQ10, grape extracts, krill, or other sources. Most products can be purchased at health food stores . Follow the dosage recommendations of the manufacturer on all products. None of the products mentioned have any toxicity, so overdosing is not a problem. In general, children take one-third to one-half the adult dose depending on their weight. Parts of this article were exerted from a newsletter by Randall Neustaedter. Dr. Randall Neustaedter, OMD, has practiced and taught holistic medicine for more than thirty years. He is a licensed acupuncturist and doctor of Chinese medicine, author of The Holistic Baby Guide, Child Health Guide and The Vaccine Guide.